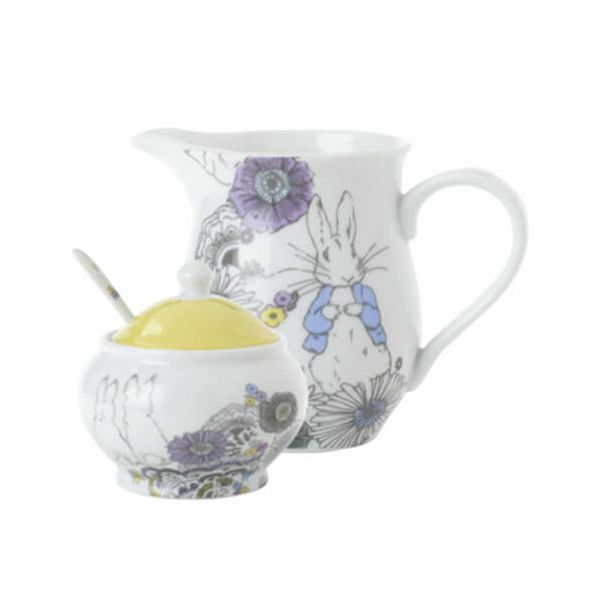 The Peter Rabbit Contemporary Creamer and Sugar Bowl Set is made from fine porcelain and are great for use when serving tea to friends and family. The Creamer and Sugar Bowl set is an ideal gift as it is presented in a gift box or is perfect for everyday use at home. Featuring illustrations of Peter Rabbit surrounded by gentle tones with a pop of yellow on the Sugar Bowl Lid. Creamer: 9 x 6.5cm, Bowl: 10 x 10cm.